Phone maker Samsung is working on M-series smartphones these days. 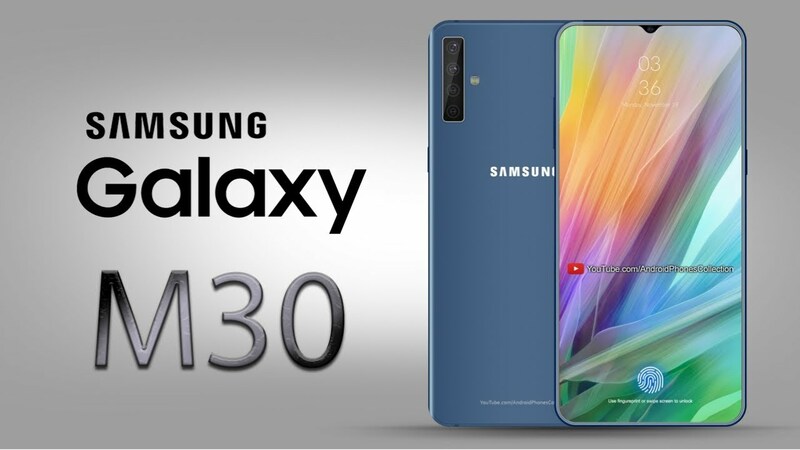 Some information about this series of smartphone Galaxy M30 has leaked online. According to leak information, this smartphone will be equipped with a triple rear camera. Apart from this, the device will have a 5,000mAh battery. Apart from this, the company is working on the Galaxy M10 and Galaxy M20 smartphones. Galaxy M30 will be equipped with the Infinity-U Waterdrop, the Nokia Display. In addition, this device will have a 6.38 inch screen size, with resolution of 1080 x 2280 pixels. There will be three rear cameras on the back side of this device. One of them will be 13 megapixels and the remaining 2 cameras will be 5 megapixels. Apart from this, the device will have a 16 megapixel selfie camera. This device will have a strong battery of 5000mAh. Previously the Samsung Galaxy M30 was seen on the Gebank benchmarking website. According to the information from which this smartphone will be equipped with Exynos 7885 SoC. This device will have 4GB RAM. If you talk about the software, this smartphone will be the Android 8.1 OSO operating system. The company M-series smartphones will be launched in India this month. Infinity V display will be present in all the phones of this series.